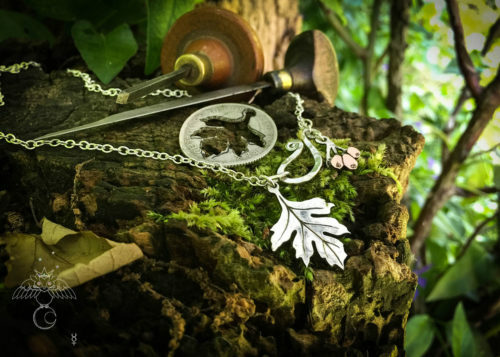 If you are lucky enough to have the tree sculpture, find you and your family tree in its physical form, made eternal yet ever changing. 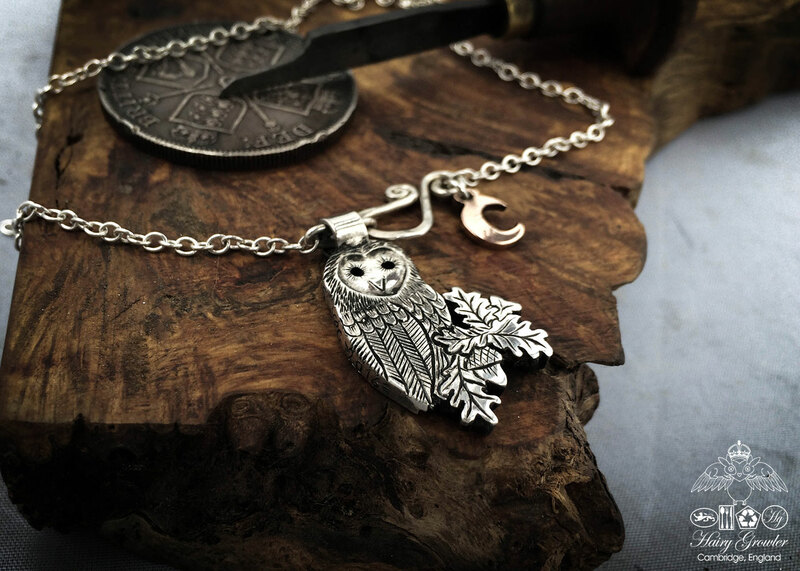 Add an owl, an acorn, a symbol of a family member, and watch your tree grow with your family. 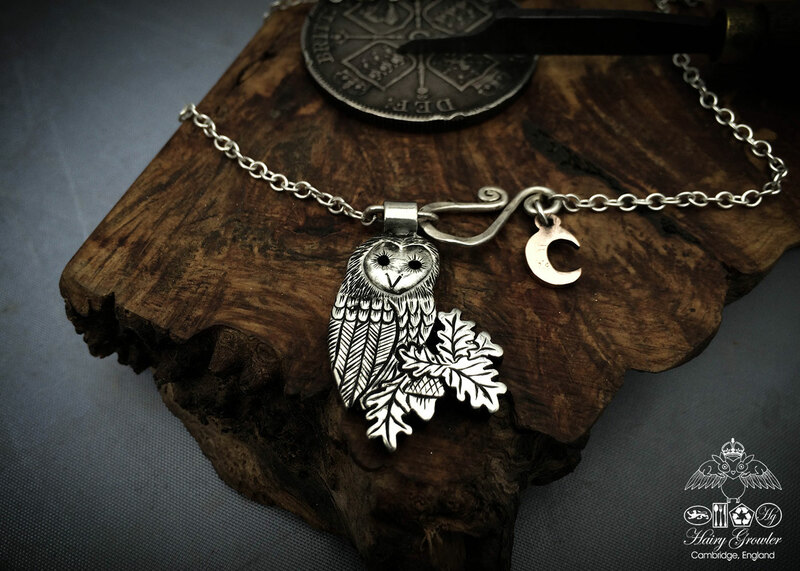 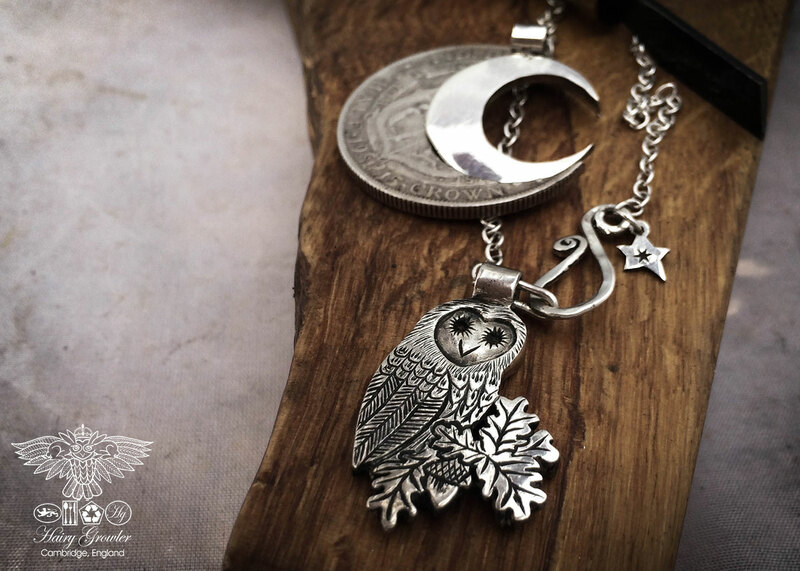 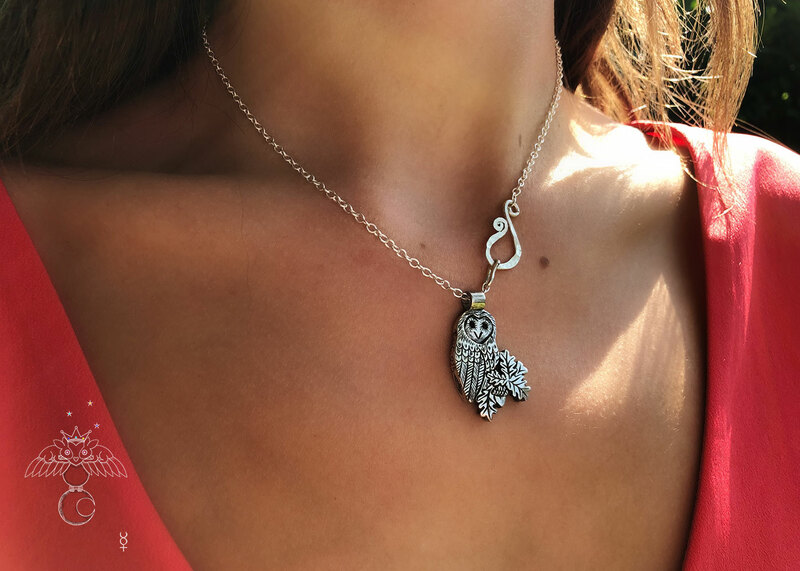 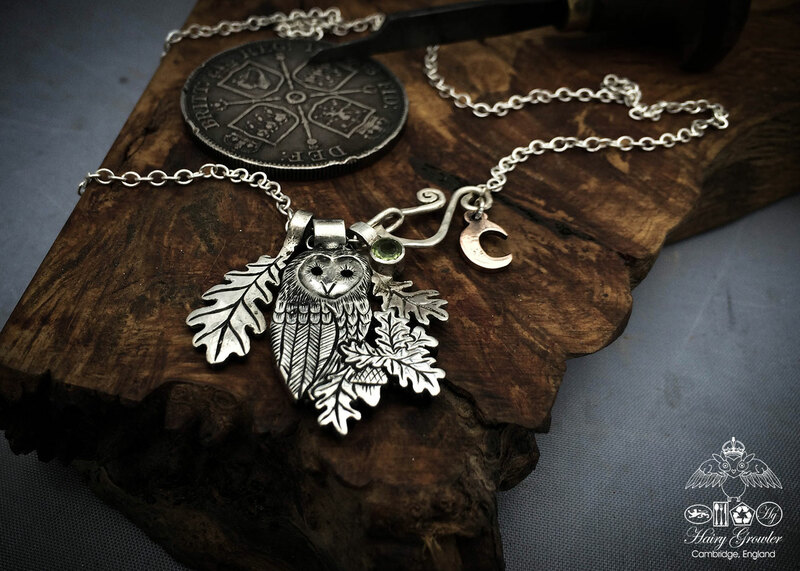 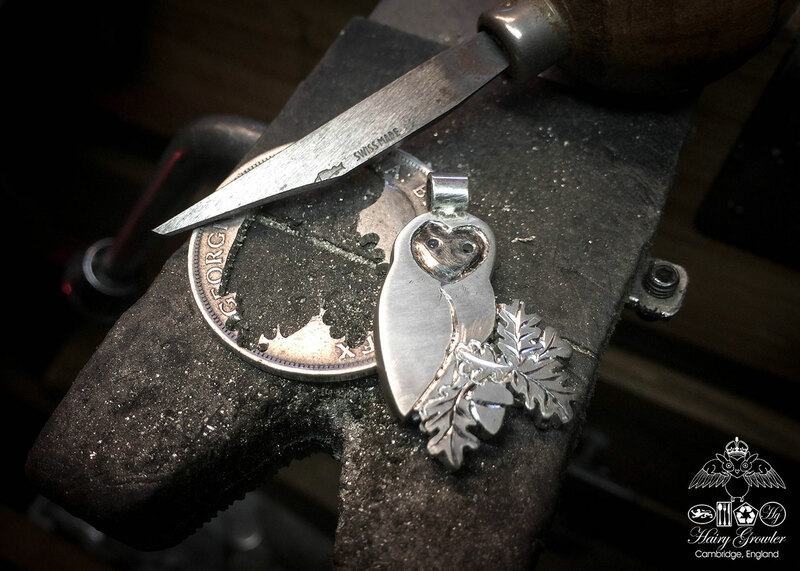 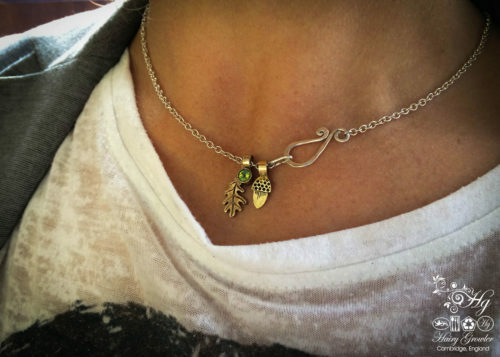 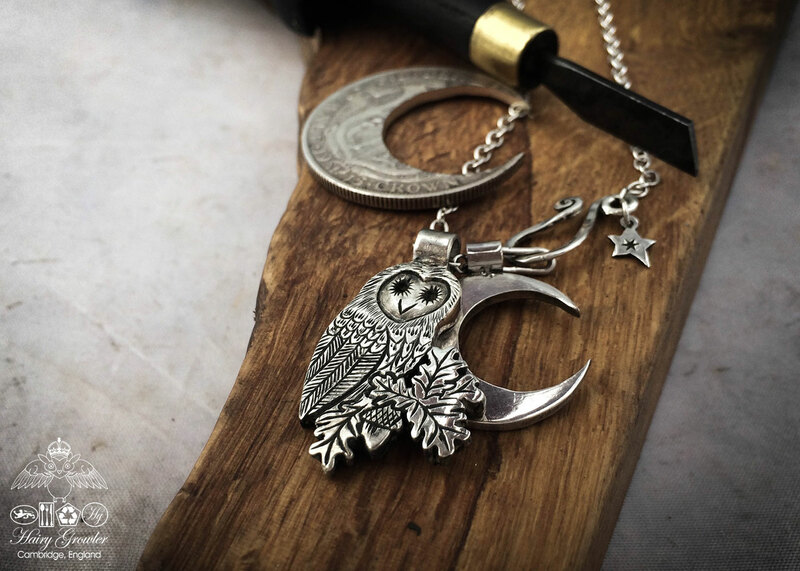 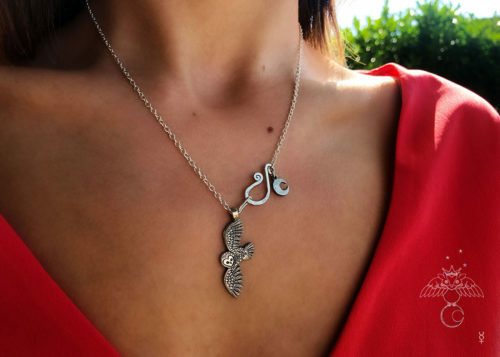 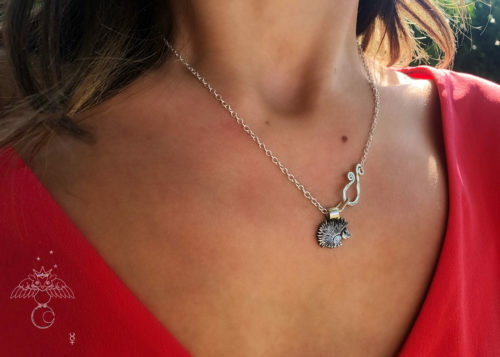 You don’t need the tree sculpture to enjoy this owl, wear her as beautiful nature loving single pendant on a necklace, as part of a branch of leaves spanning a bigger design you have imagined on a necklace, representing your own personal aesthetic or family and friends. 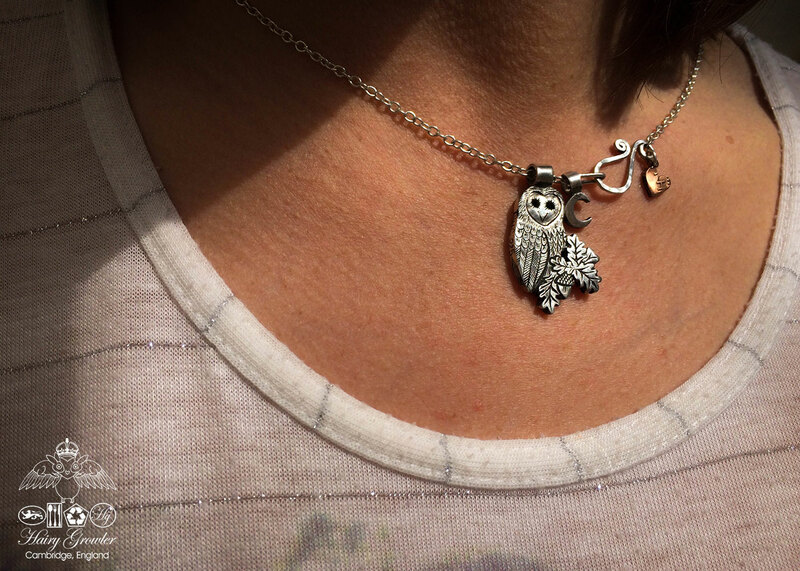 Each owl. 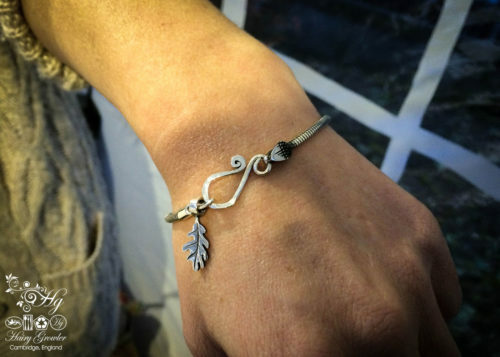 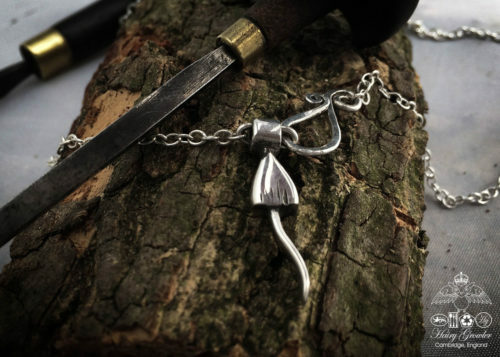 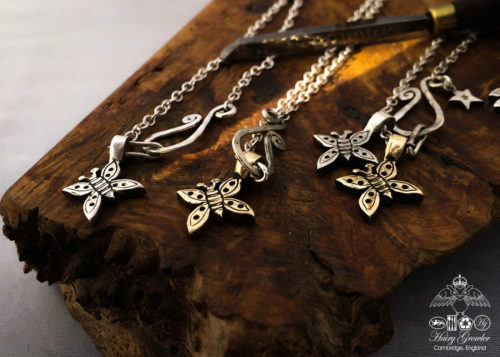 acorn, leaf and charm is movable, allowing you to customise the jewellery you create and the sculpture you design. 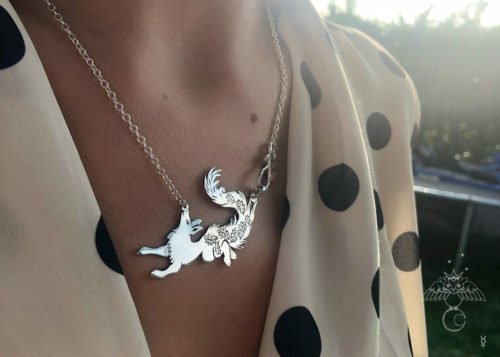 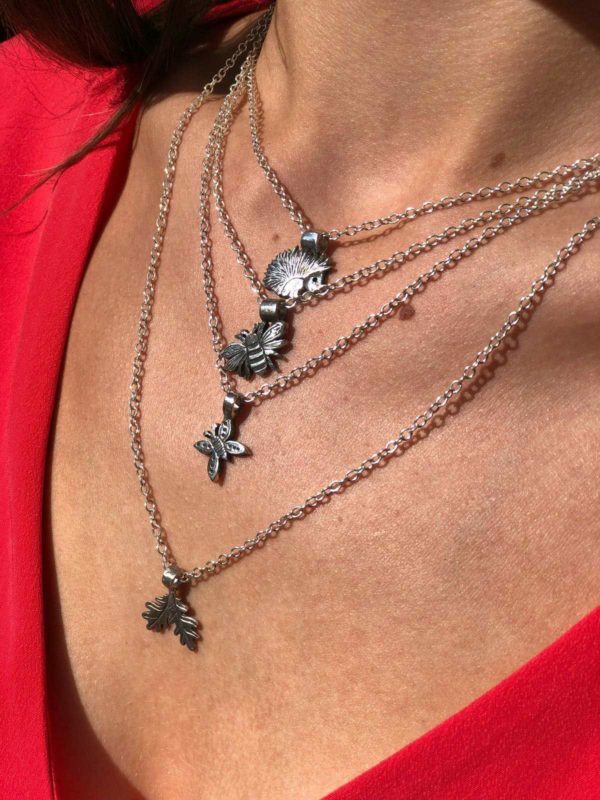 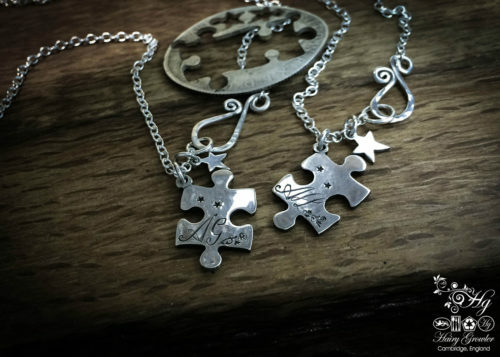 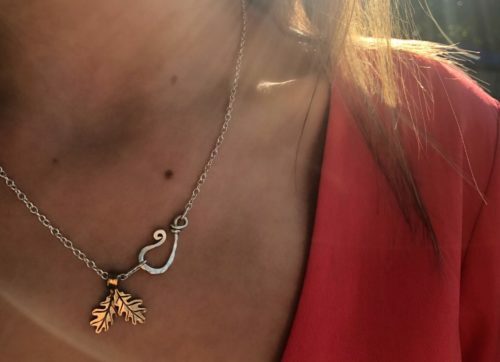 Create show stopping, mystical necklaces with a myriad of leaves, studded with stars, or be beautifully understated with a bracelet, holding a single acorn, a symbol of your own strength, your own ability to blossom and become something magnificent. 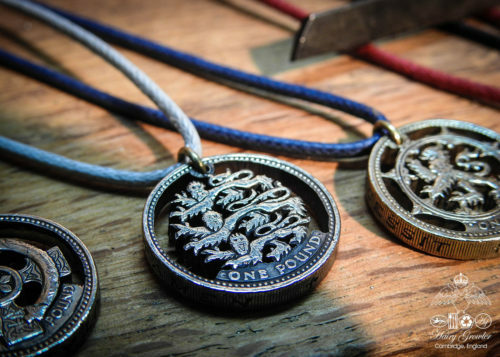 Initials on the reverse ?